April 16, 2012 – Journey to my heart…. 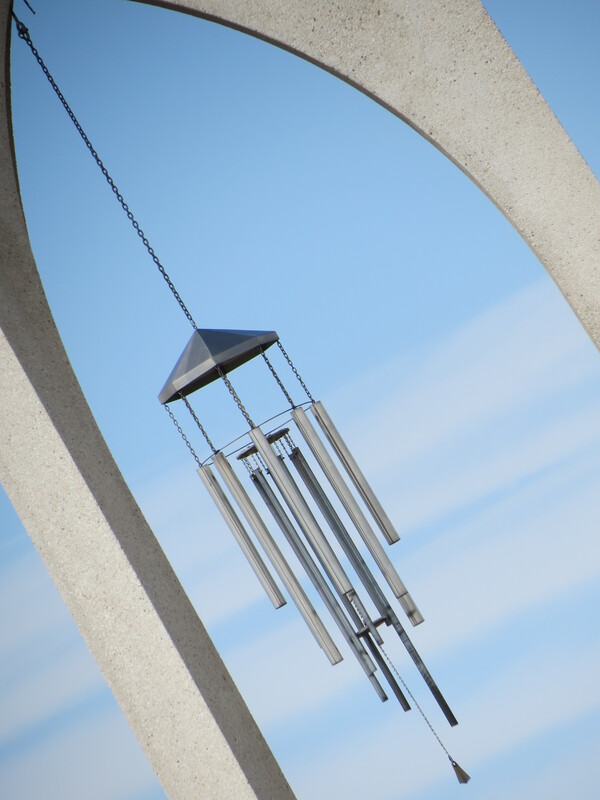 The beauty of a wind chime…. I had a great weekend in Denver Colorado this past weekend. But I must be honest, there was a full range of emotion experienced, including sadness and sorrow! I often try to imagine the pain of losing one of my sisters and I can’t quite imagine the ache that must stay deep in one’s heart. This is an ache my Mom and her siblings know all too well. 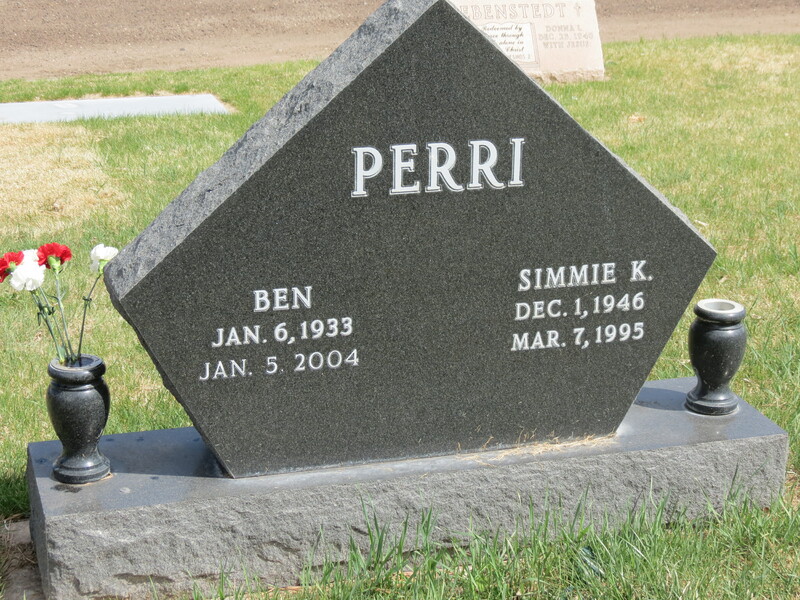 And so, a part of our visit to Denver was to ensure we took time to remember Aunt Sim and Uncle Ben. As we got out of the car, I was struck by the silence. We were the only ones in this section of the cemetery. I had just heard the story of how Uncle Ben carefully selected this spot when Aunt Sim died. 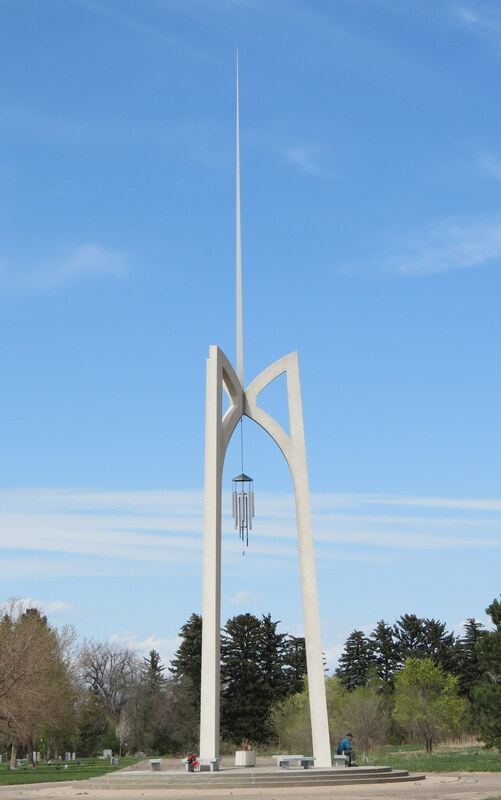 One thing he really liked, was the wind chime tower. And so, as we stood in the silence, I noticed how clearly I could hear the gentle sounds of the wind chimes. As our tears fell, I found comfort in the depth and spontaneous rhythm that quietly filled a very large void. I wonder if you have a memory you associate with wind chimes. I must say that my love for the wind chime grew deep roots this past weekend. Uncle Ben was a very thoughtful and creative man. I am touched by his selection of where to entrust his wife’s body to the ground. 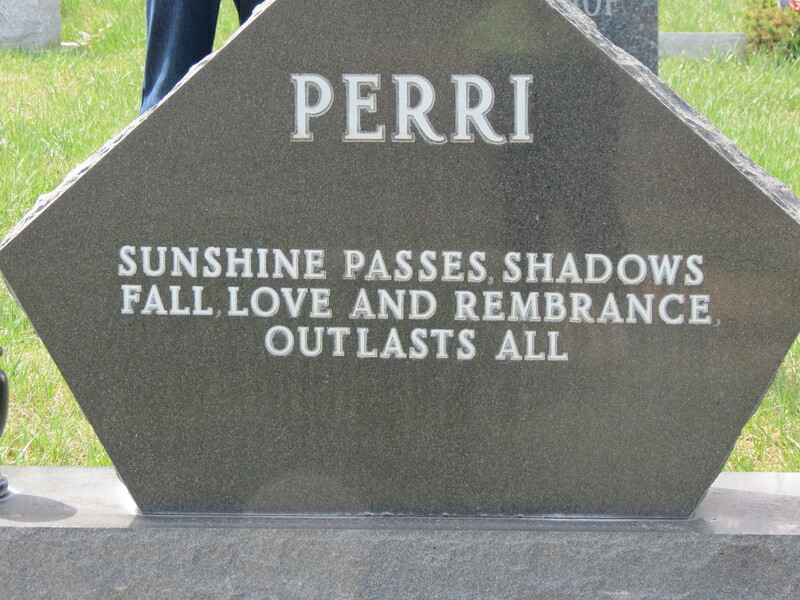 This weekend we talked about the irony that in some sense, it matters not where we call our final resting place, and yet, there is some comfort when the place chosen reflects something peaceful. I believe Uncle Ben selected this spot for Aunt Sim with much thought and consideration. If he was standing there with us, I would have said, well done Uncle Ben. And I especially love the wind chimes! Author trishborgdorffPosted on April 16, 2012 Categories UncategorizedTags final resting place, sadness and sorrow, wind chimeLeave a comment on The beauty of a wind chime…. 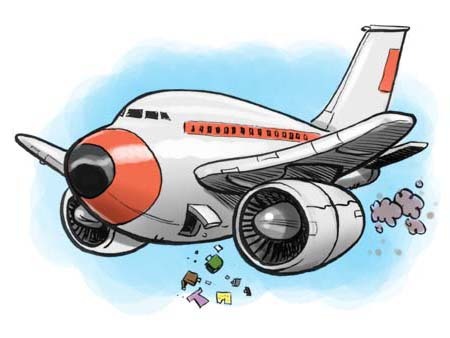 I ran into a friend the other day who said I travel more than anyone she knows…. I smiled and agreed that my traveling seems more frequent in the last year. I consider myself very fortunate to have many people to go visit! Home from Denver tonight and I have much to write about….but it will wait till tomorrow since I have a full day tomorrow and it is late yet again! One image I took home from Denver is the number of homeless people I saw on the sidewalks. I know that homelessness is real everywhere. When I see the people holding the signs, I wonder if begging is their only option? I wonder what their stories are….. But tonight as I come home and settle into my comfortable space, I am saying an extra prayer for the homeless…. I am not sure what that will look like or where or how I can make a difference, but I am grateful to be home and pray I never take that for granted!